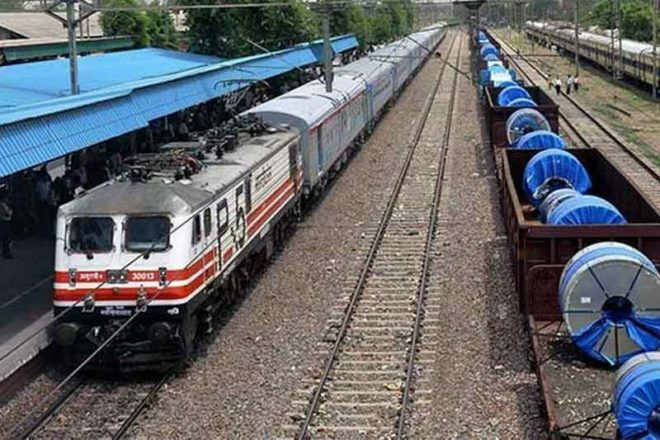 o expedite the survey work of the 498 km long Bilaspur-Manali-Leh new railway line, Indian Railways has sought land from Ladakh Autonomous Hill Development Council (LAHDC) to set up camp office at Leh. Government wants to strengthen the rail network in areas located close to Tibet. We have requested the LAHDC Chairman to allot land for setting up camp office at Leh to speed up the survey work of the Bilaspur-Manali-Leh rail line, said a senior Northern Railway official.